The adorable cat-eagle creature in The Last Guardian won’t always be a compliant companion as you journey through the game world. Speaking in the latest issue of Edge Magazine, via ibtimes UK, Fumito Ueda said Trico cannot be completely controlled by the player, as it had its own mind, and makes decisions on whether or not to respond to the player’s request. Ueda said he designed Trico this way because a creature which always does as asked “wouldn’t be enjoyable” for him. Edge, which was also given a preview of the game, said Trico has a striking presence and is a “free-spirited creature that flagrantly disregards your attempts to tame it.” That being said, the relationship between the creature and the player will strengthen through gameplay. As time goes on, Trico will be more responsive to requests from the player, and its eyes also change color depending upon its mood. One of Trico’s powers was also revealed in the magazine feature. It can shoot a red beam of lightning from its tail at a point illuminated by the player. This is accomplished by the child in the game when the spot which he wishes Trico to destroy is illuminated using a mirrored shield. The article goes into more detail, and it can be read in Edge Issue 294 which available now. So are we. We’ve been waiting on its release for 100 years now. Okay, more like nine years. 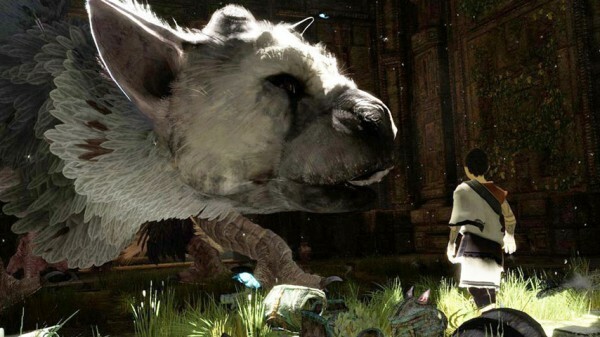 Announced in 2007 as Project Trico, after numerous delays The Last Guardian will be released on PlayStation 4, and we expect Sony to show more of it at E3 2016 next month.